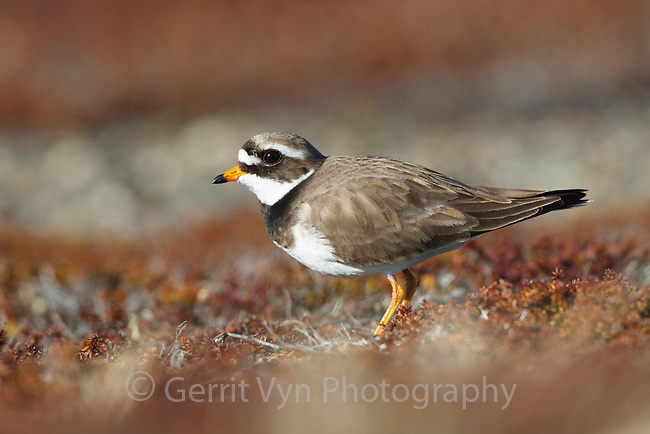 Female Common Ringed Plover (Charadrius hiaticula) on its breeding grounds in Russia. Chukotka, Russia. June.